Not from the archives but freshly pressed – taken just this weekend on the first outing of my new second hand Sigma 24mm (f/2.8 “Ultra Wide”). Nifty little lens although of course this photo doesn’t really show anything that it can do. I don’t normally do weddings (I don’t like people, and I prefer to use my hands for drinking), but this is from one where my girlfriend was the bridesmaid. 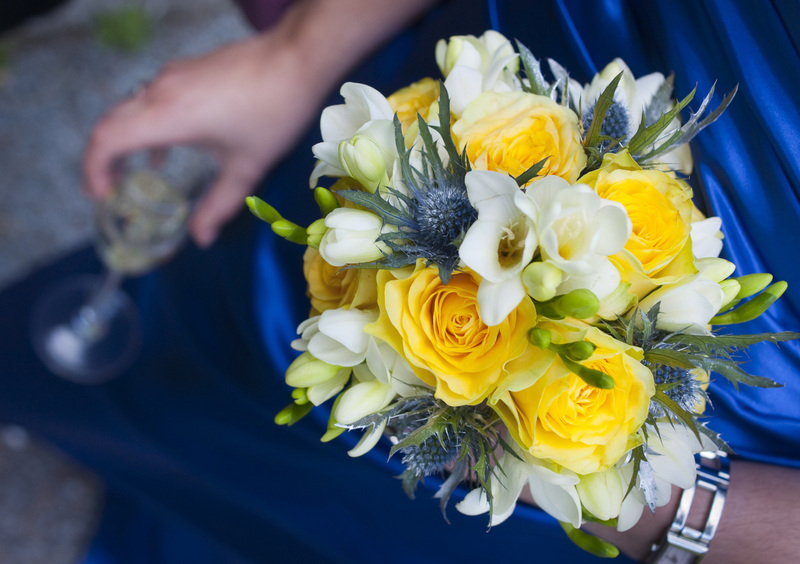 This is actually her bouquet, not that of the bride. Quite neat and “to-the-point” I think, with the glass adding a subtle festive touch. I quite like it. 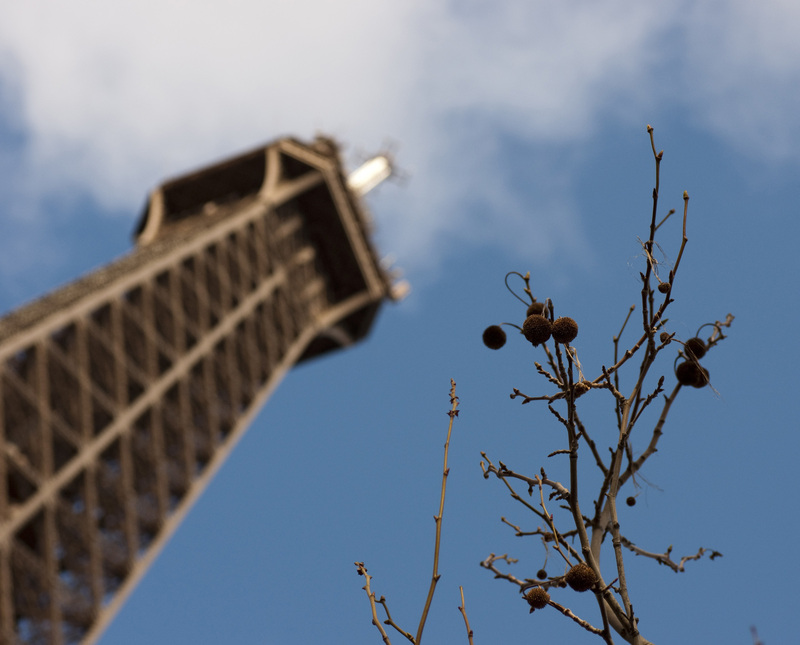 I might as well stay with Paris for now, I’ve got a few nice photos especially of the Eiffel Tower. This one was taken from the monument down the park, I guess it’s obvious why I liked this see-through. Like yesterday’s it was taken on Christmas day 2012! One can but dream, right…? Aspiration III (there are I and II but yes, it’s still pretentious). 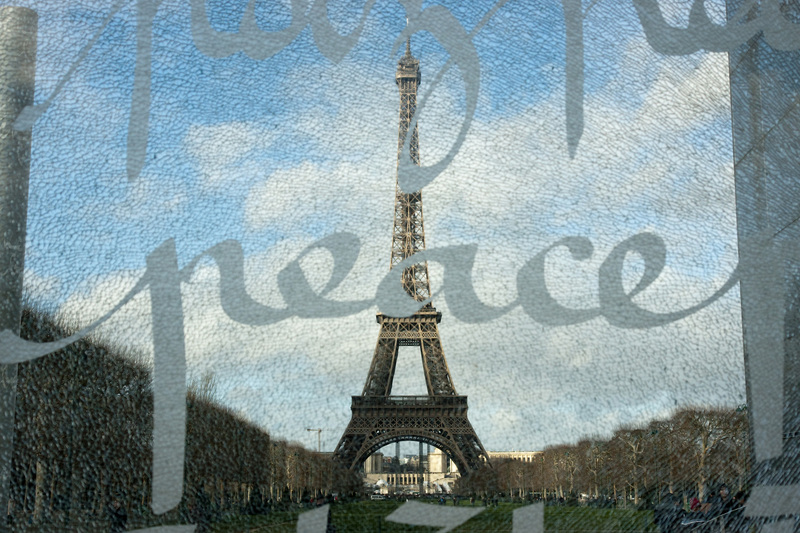 Just one of many photos (not even of Paris alone) that are just hanging around on my hard drive. It’s not the best or special in any way – but maybe that is what makes this one a good start. Let me see how many I can get out there for everyone to see – enjoy! I tried Googling this and looking at the Marine Traffic website, but this tower is a mystery. Does anybody have more info on what it is? It’s visible from Brighton direction roughly 240 degrees southwest. Distance is difficult to estimate but over 50 kilometers at least. Anybody? 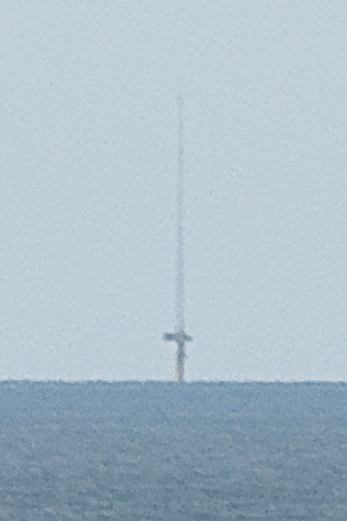 Mystery tower, roughly 240 degrees southwest from Brighton. 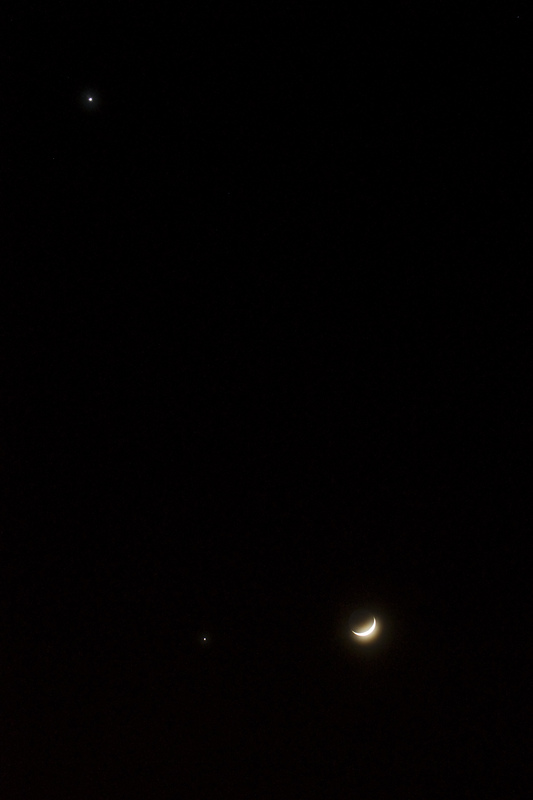 Jupiter + Venus… + the Moon! Ah yes, another good night for stargazing and astrophotography. Slightly hazy, often actually helps as it means the atmosphere is calm. Without further ado I present my trophy pictures for the night. 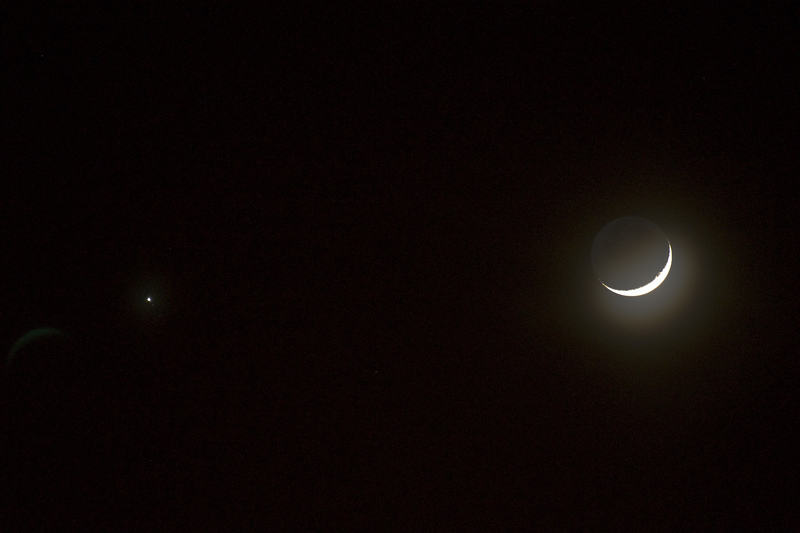 The first is of the lovely triangle formed by Venus (top), Jupiter (bottom left) and the Moon. Unfortunately because Venus is so far up, this is zoomed-out far enough that the moons of Jupiter are not visible. 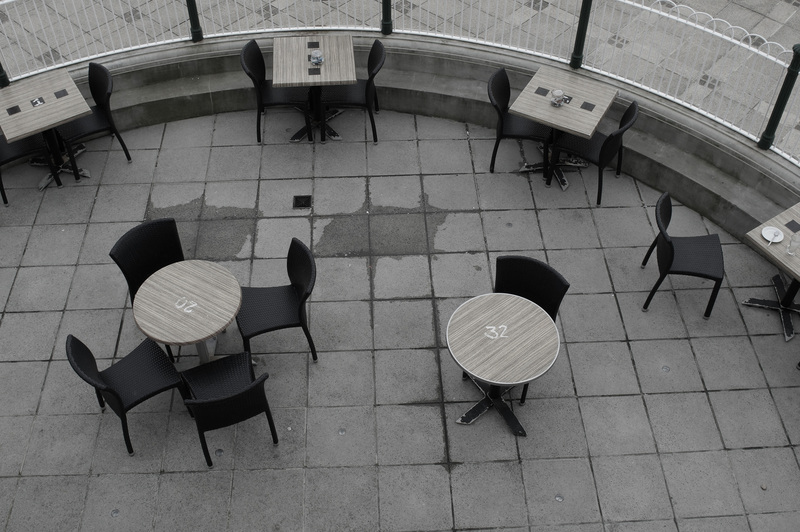 Still a really nice shot, I think, especially getting all three objects within the dynamic range of a single exposure. Zooming then – and helpfully using auto-focus on the moon, often a good trick when the moon is up – got this image off of the Moon and Jupiter being nice and close. Again this is from a single exposure, I like seeing the disk of the moon, I also like that this image displays objects so disparate in brightness as two of Jupiter’s Galilean moons and the moon, whilst retaining details (craters on the day/night border) on the moon. This would be my favourite shot of this night, despite Venus not being in it. 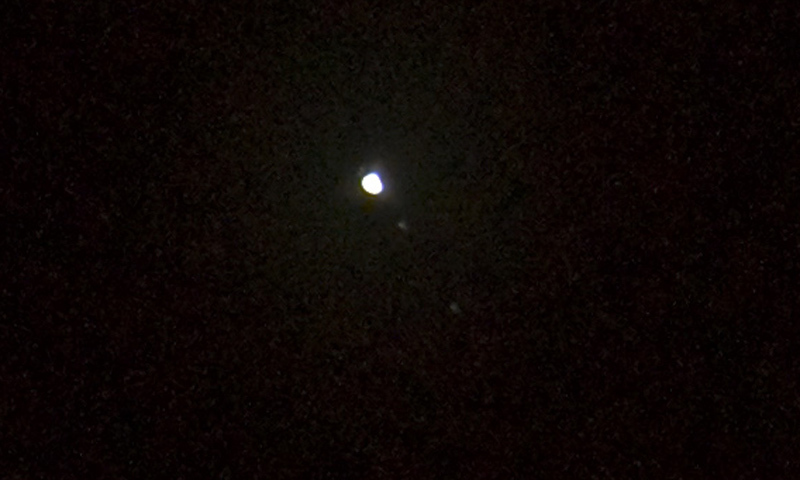 For those too lazy to zoom in fully, here’s tonight’s close-up of Jupiter, this time only two moons visible, grmpf, lol two moons are easily visible below Jupiter: Ganymede closest and Callisto further out, and as I was informed by Stellarium, the two tiny tiny specks just top left of Jupiter (!) are, in fact, the other two moons, Europa just a little to the left of Io. Intat amayzing? I think so! I’ve got a set of around 40-odd photos, some may be good for stacking and making into a composite, ‘astro-HDR’-like image. Unfortunately, I don’t have time for that tonight. Also, tomorrow the moon should be close to Venus, so I’ll have another go at getting some nice shots – although Venus isn’t as interesting as Jupiter, having no moons and all that. But I will have a go at the remaining photos, watch this space! Until then, enjoy these :).